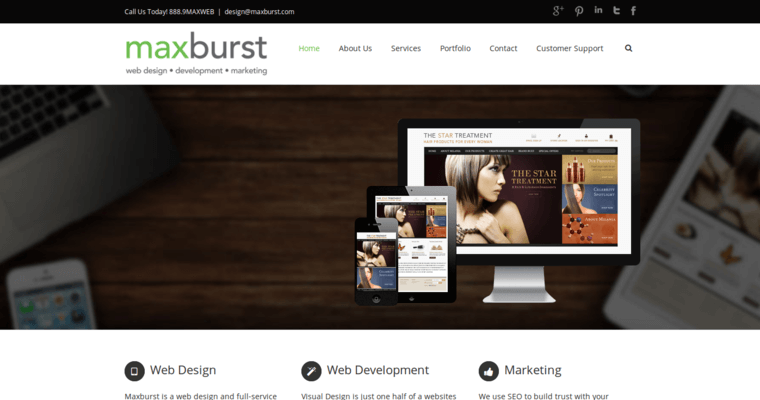 Maxburst will provide the tools and expertise to give customers looking for your business online a great first impression. 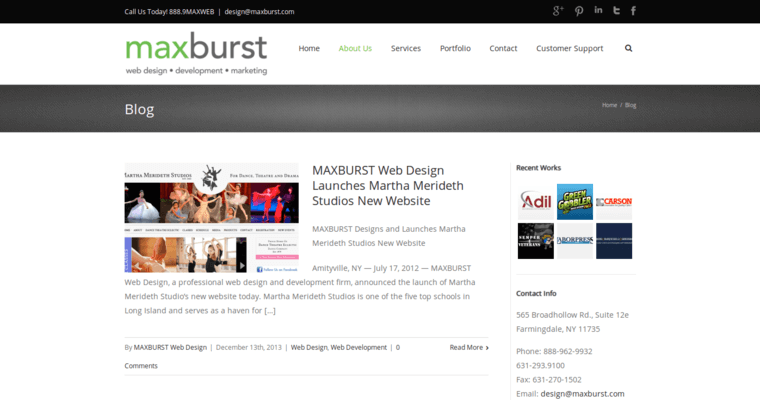 We are a complete web design, development and digital marketing company. We are your one-stop place for showcasing your business online with an amazing website designed by our team of talented designers, graphic artists, programmers and content writers. Our internet marketing specialists then get qualified prospects to this website through a combination of search engine and social marketing. If you are a business that depends on local clientele, we will also get you featured prominently in local search results in your area. 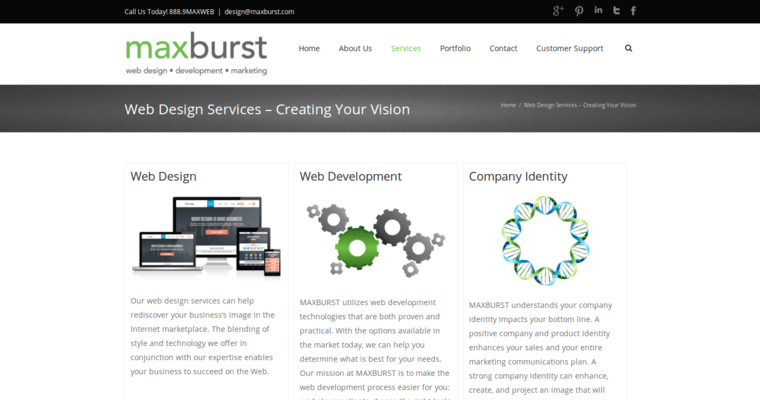 Once on your company website, visitors will be drawn in by a smooth user experience that has been produced by a team that has done websites for major companies such as Canon and Jet Blue as well as numerous small businesses. Request a quote on our website to see what we can do for you.